Audu Maikori, the CEO of Chocolate City was a judge on Nigerian Idol Season I, but was replaced by Charly Boy in season II. Why was Audu replaced? Were there any problems? 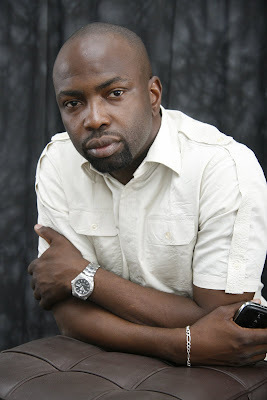 Mr Maikori explains. I was very excited to be part of Idol Season I and it was a magical experience for all on board. Chichi Nwoko, who is project manager for Nigerian Idol also confirmed this in an email: “Audu is a member of our family here. We are proud of what he has done with the Season I Idol winner Yeka through Chocolate City productions and we are also glad for all the in-house support he continues to give. So, while you may not see Audu on the judges chair this season, you will see him in another role, but you have to watch the show! We can't spill the beans." So there you have it. Meanwhile, the Idol Auditions hold in Abuja on Saturday, get more information on their website www.nigerianidol.com. And congratulations to Audu for Chocolate City making the shortlist of 30 for the Legatum Africa Entrepreneur Awards! Good for him,Simon Cowell wanna be,always pretending to be serious and criticizes even when not necessary,mtcheeew,even the Lady judge is a total bore,lacks diction and wits,always blabbing,people like onyeka onwenu and sunny Ade should mentor some of the judges not even the contestants,and someone pls tell Jeff not to wear his shades,i didnt see sun in that room thruout the last season. Good for him... ehen, ow r u feeling nw linda? Lol @ Dame T comment. I concur to the first comment made by the first commentator! Aw that's a shame..thought he was a great judge! Yinka Davies accent is scary. i am no fan of forming accent but how can a singer of repute who sings in English have such a horrible diction? Audu wasn't a great judge. I thought he wasn't qualified to be a judge on idol even though he owned a recording company. He isn't much of an authority as his understanding of music isn't that deep. And really Audu is extremely arrogant. y would d organisers want him again? Whether he b Jugde or not that is not my consignee BUT the latest threat about a NEW GAY ENTERTAINMENT CLUB OPENING IN NIGERIA. Is killing me. Linda l beg make research.....this has to stop.